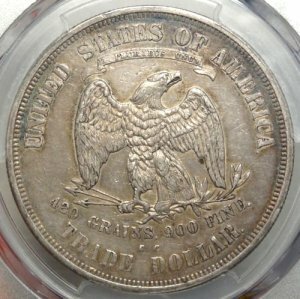 1876-CC U.S. Trade dollar AU53 (PCGS)... A Lovely original much better date and mint trade dollar for the Carson City Mint. 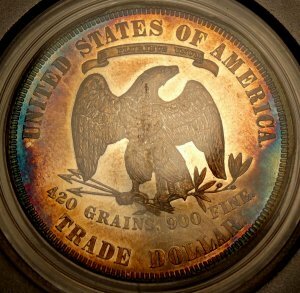 A very scarce and desirable coin for your type set. 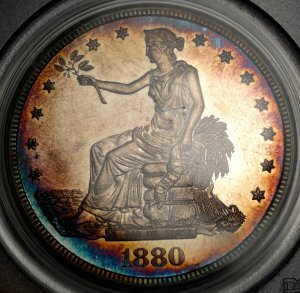 1880 U.S. Trade Dollar PR63 (PCGS/CAC 20749728)... a gorgeous toned beauty with a superb strike and details. 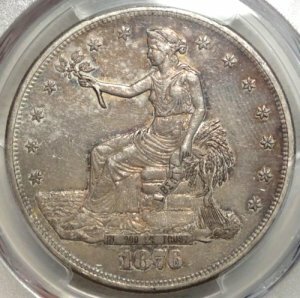 Don't miss this one for your collection!